Russell Dean Dupuis is a pioneer in the use of metalorganic chemical vapor deposition (MOCVD) technology for the production of semiconductor devices. 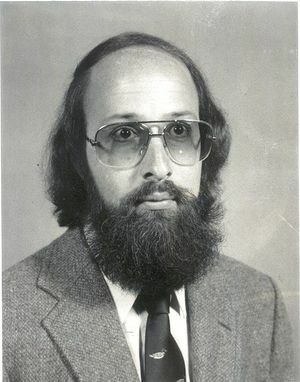 He was the first to use MOCVD to grow III-V compound solar cells, injection lasers and light-emitting diodes (LED), and demonstrated for the first time room-temperature continuous-wave operation of AlGaAs-GaAs quantum-well injection lasers, establishing that such lasers are reliable enough for practical use. Today these lasers have a wide variety of commercial uses, including laser printers, optical communication systems, CD and DVD players, bar-code scanners and medical applications. AlGaAs-GaAs is also a core element in fiber optic systems being deployed around the world. In addition, he is responsible for seminal advances in the MOCVD crystal growth process and for the initial development of sophisticated equipment for vapor-phase growth of advanced semiconductor heterostructure devices. Dr. Dupuis received a bachelor of science, master of science degree as well as a doctorate in electrical engineering from the University of Illinois at Urbana-Champaign. He is currently a professor in the School of Electrical and Computer Engineering at Georgia Institute of Technology, Atlanta, where he holds the titles of the Steve W. Chaddick Endowed Chair in Electro-Optics and Georgia Alliance Eminent Scholar, as well as Director of the Center for Compound Semiconductors. This page was last edited on 13 September 2017, at 18:36.